Sub-Urban is a European network of Geological Surveys, Cities and Research Partners working together to improve how we manage the ground beneath our cities. Background image: Oslo City. Final Action Dissemination for COST Action TU 1206 Sub-Urban (2013-2017). “The vision is for Future Cities that live sustainably and in harmony with the ground they are built on. Relevant policy at local, national and trans-national scales will be needed to support this.» Dr Diarmad Campbell, Chair of COST Action TU 1206 Sub-Urban, BGS. Increasing urbanisation throughout the world challenges the sustainable development and resilience of cities. Despite this, the importance of the ground beneath cities is under-recognised and often overlooked. The main aim of the Sub-Urban Action is to provide a long-needed contribution to greater interaction and networking, and so transform the relationship between experts who develop urban subsurface knowledge and those who can benefit most from it - urban decision makers, practitioners and the wider research community. By 2050 it is estimated that two-thirds of the world's population will live in urban areas. Europe's population is already substantially urbanised and as populations grow, sustainable development - a pattern of growth in which resource use aims to meet human needs while preserving the environment for present and future generations - is increasingly threatened. In contrast to the attention given to the visible (above ground) expressions of cities, there is a marked lack of appreciation of the importance of the subsurface amongst those who plan, develop and manage cities. For underground space to remain a societal asset, we need to plan and manage its use. In cities such as Helsinki and St Petersburg subsurface urban development has been integrated into the land-use planning system. If this is not done, the greatest benefits of underground space will prove to be short-lived. For example, unanticipated disruption of groundwater flows can cause wells to dry up, cause ingress of pollutants, damage to sites of historical interest or cause flooding of existing subsurface developments. In 2012, the British Geological Survey together with other geological surveys in northern Europe, put forward a proposal to the Transport and Urban theme of COST for greater interaction and networking between experts who develop urban subsurface knowledge and those who can benefit most from it - urban decision-makers, planners and practitioners (private consultants and contractors). Chair of Sub-Urban COST action TU 1206 Diarmad Campbell (BGS) has given an interview explaining the intent and effect of our action. Recommend the basis for improved availability, initial use and re-use of subsurface data. Key opportunity to explore synergies with other TUD COST Actions: TU1204 | People Friendly Cities in a Data Rich World with Professor Mark Dyer (Trinity College Dublin, Ireland, MC Chair), TU 1208 Civil Engineering Applications of Ground Penetrating Radar with Dr Lara Pajewski (Roma Tre University), and Action 120Y Shallow Geotermi with Peter Huggenberg and Jannis Epting (Univeristy of Basel, Switzerland). European network for shallow geothermal energy applications in buildings and infrastructures (GABI) with Grzegorz Ryzynski(PGI-NRI). The GABI website disseminate relevant information related to Sub-Urban action. And TU 1206 Sub-Urban MC Chair Diarmad Campbell (BGS) attended Lisbon Meeting and gave invited presentation at TU 1202 Impact on climate change on engineered slopes for infrastructure. In addition members of the Sub-Urban group are taking part in Smart Cities with Integrated Urban Planning and Sustainable Development (Commitment 6985) with Hans de Beer (NGU) and Ignace van Campenhout (Rotterdam Municipal Engineers). Collaboration is initiated between the Sub-Urban group and ITA - International Tunnelling and Underground space Assosiation. ISOCARP - International Society of Cities and Regional Planners. ISOCARP has published a booklet - Think Deep: Planning, development and use of underground space in cities - that is addressing relevant issues for the Sub-Urban group. We encourage all COST Actions to communicate their work and results to a wide array of audiences, including non-scientific ones. Visit this section for tips and tricks on how to best reach your audience and achieve impact. The Guidelines for the dissemination of COST Action results and outcomes are meant to help and encourage Actions to communicate their work, while using the COST corporate identity elements correctly. The elements are outlined in the document. To inform the State of the Art report case studies have been carried out with city partners. A Coruña is one of the main cities of Galicia, in the Northwest of Spain. With 244,388 inhabitants (2007) it is the main urban agglomeration in the North of Galicia, and key a point in the Atlantic axis, which runs along the Galician coast into Portuguese lands. Dublin is Ireland’s capital and largest city and it lies on the East coast of the Ireland. The Dublin metropolitan area is Ireland’s financial and administrative centre. Dublin is the hub of Ireland’s transportation networks and a key gateway for international trade via air and sea. The Basel region, which borders both Germany and France, is one of the most dynamic economic regions in Switzerland and acts as a vital regional as well as interregional traffic junction. Glasgow is Scotland’s largest city. Working together, Glasgow City Council and the British Geological Survey are helpingplanners, developers and environmental managers to see the city from beneath through the exchange of 3D subsurface information via the ASK Network (Accessing Subsurface Knowledge). Bergen is the second largest city in Norway next to Oslo, the capital. Bergen is located on the western coast and is the largest city in Hordaland county. Bergen was founded around A.D. 1070. 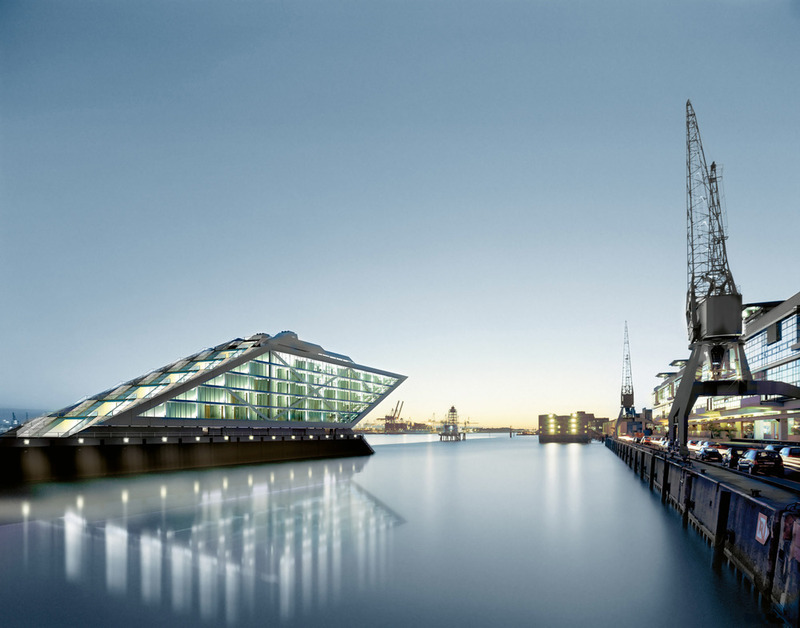 Hamburg is the second largest city in Germany next to Berlin. It is also one of the 16 states of the German federation. In this sense, Hamburg is a city as well as a state. Hamburg is located in the northern German lowlands in the lower reaches of the Elbe River, about 100 km from the mouth of the river into the North Sea. Helsinki is the Capital of Finland and the centre of the Helsinki Region. The Helsinki Metropolitan Area has a high concentration of employment with approximately 750,000 jobs. The area is the world's northernmost urban area among those with a population of over one million people, as well as being the northernmost capital of an EU member state. Ljubljana is the capital and largest city of Slovenia. It has a central geographic location within Slovenia. Thanks to its natural features and well-considered urban planning, Ljubljana has a distinctly green identity. The Municipal spatial plan shows that green areas make up nearly three quarters of the entire territory of the City of Ljubljana. Lisbon, Western Europe’s oldest city is the capital of Portugal, the major touristic and economic center and has a very densely occupation. However if we analyze its history we see that the ancient occupation of the Lisbon territory was limited to a central core, benefiting from the privileged and strategic position along Tagus River as well as the rugged morphology that has provided natural conditions for the city defense over the centuries. Nantes is France’s sixth largest city. The conurbation (Nantes Métropole) comprises 600,000 inhabitants, a number which should reach the 700,000 mark by 2030. The city of Nantes is the capital city of the Pays de la Loire Region, and the Préfecture of the Loire-Atlantique Department. In 2004, Time Magazine named Nantes ‘the most liveable city in Europe’ and in 2013 it held the title of European Green Capital. Oslo is the capital of Norway with 634,463 citizens. It is a fast growing city with large building expansion. The Oslo local council with the Agency for Planning and Building Services as partners. Novi Sad is the second largest city in Serbia, the administrative seat of the Autonomous Province of Vojvodina (Nothern province of Serbia). It is located at 19°20' east longitude and 45°46' north latitude, and the 1255 km of the Danube River, and it covers a territory of two regions: Backa region on the left bank of the Danube and Srem region on the right bank of Danube river. Elevation of Backa side ranges from 72 to 80 meters, while the Srem side elevation goes up to about 250 m.
Novi Sad lies on intersection of the main European Road Corridors, the Danube river banks and Danube-Tisa-Danube (DTD) Canal facing the northern slopes of Fruška Gora Mountain. Rotterdam is the second-largest city in the Netherlands and the second largest port in the world. Starting as a dam constructed in 1270 on the Rotte River, Rotterdam has grown into a major international commercial centre. Its strategic location at the Rhine-Meuse-Scheldt delta on the North Sea and at the heart of a massive rail, road, air and inland waterway distribution system extending throughout Europe is the reason that Rotterdam is often called the "Gateway to Europe". Odense is the third largest city in Denmark. It has a population of 172,512 and is the main city of the island of Funen. The City faces big pressure from above because annual mean precipitation has gone up around 100 mm since measurements started 140 years ago There is also pressure from surface water (flooding) and also the subsurface due to a rise in groundwater. Valletta is the capital city of Malta and serves as a governmental, a business and an administrative hub of the Maltese Islands. This fortified city is located between the Grand Harbour and Marsamxett Harbour. 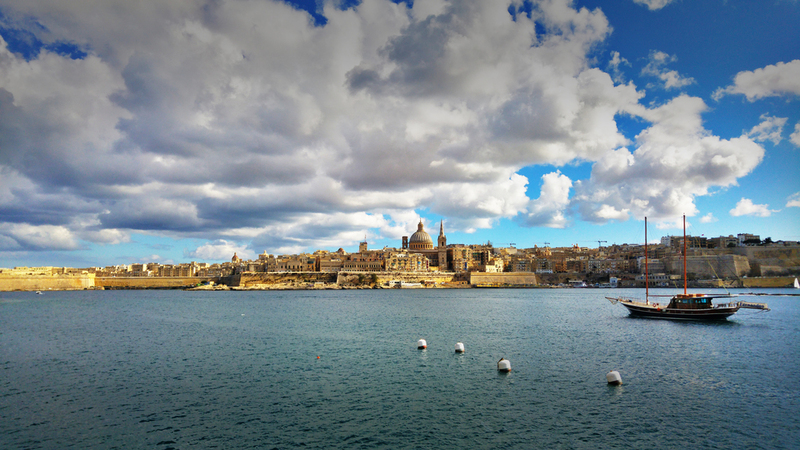 It includes numerous monuments and buildings which date back the 16th, 17th and 18th centuries and which make Valletta a UNESCO World Heritage site. Amongst various monuments, the city has an extensive network of spaces below its surface. Most of these underground spaces were developed throughout the years for military and defensive purposes. However, the subterranean of Valletta has not been fully explored and requires further research, documentation and exposure. Vienna is the capital of Austria and its cultural, economic and political centre. It is composed of 23 districts. Famous for its classical music, classicist and modern architecture, Art Nouveau buildings, imperial palaces, the State Opera, theatres, the traditional Viennese coffee houses and the Lipizzaner horses, Vienna attracts up to 6 million tourists per year. It is the home of over 100 museums and 13 universities as well as the seat of several United Nations offices (e.g. OSCE, OPEC, UNIDO and IAEA). For more information on the Management Committee visit the Management Committee pages on the COST website. Download a PDF with contact details and CVs of the contributors to COST Sub-Urban.